NORTH KOHALA, Hawaiʻi - Over 100 people reportedly felt the temblor just after midnight, mostly in the Kohala-area but with some as far south as Hilo and Kailua-Kona. (BIVN) – A Magnitude 4.0 earthquake struck Kohala Mountain on Hawaiʻi Island just after midnight on Friday morning. The quake, first measured at a Magnitude 3.7, was located 6.1 miles south southwest of Halawa, according to the USGS Hawaiian Volcano Observatory. The earthquake struck at 12:05 a.m. HST on Friday morning at a depth of 13 miles, scientists say. Over 100 people reportedly felt the temblor, mostly in the Kohala-area but with some as far south as Hilo and Kailua-Kona. 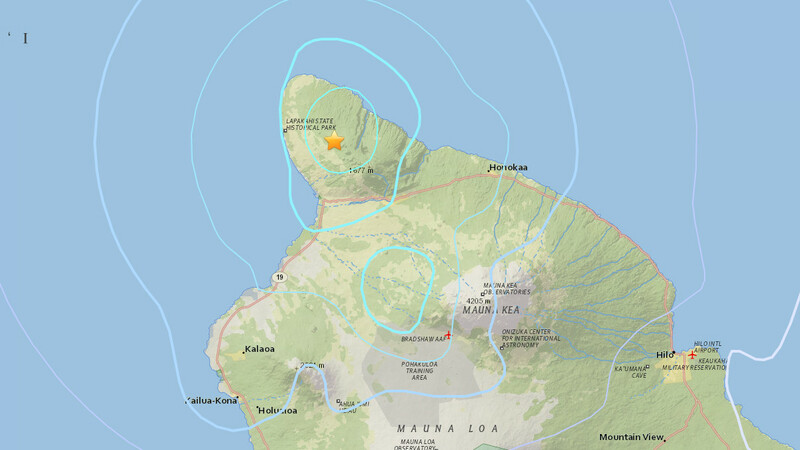 A day and a half earlier, a Magnitude 3.1 earthquake also occurred near Kawaihae. The quake occurred at 5:42 p.m. HST on September 26, the USGS reported, at a depth of 7.6 miles.